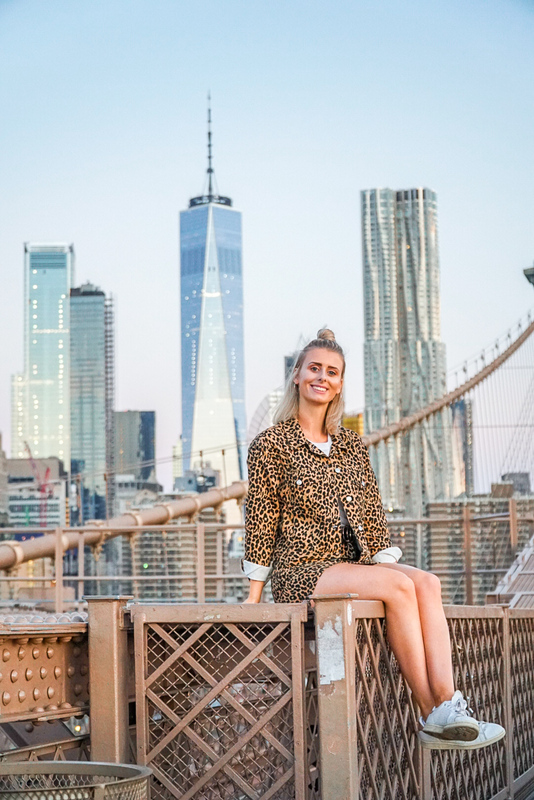 If you caught my day 1-3 itinerary of New York City, you might be keen to see what I got up to on the latter part of my trip! Here’s days 4-6, enjoy! Our fourth day started with a very early alarm, 4:15 am to be exact. 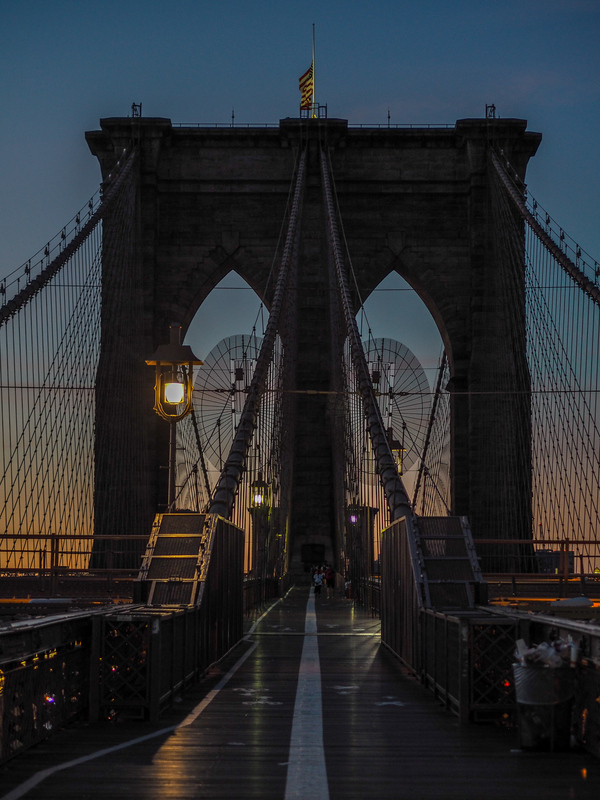 We’d decided before we left that we wanted to go to Brooklyn Bridge at Sunrise. Not only would the sunrise be beautiful from there – the bridge would also be a lot quieter than in the daytime to get some photos. And boy oh boy was this early wakeup call worth it. When we arrived at the bridge it was practically dark still, and we stayed here for a good few hours, watching the sunrise and getting aaaaall of the photos. 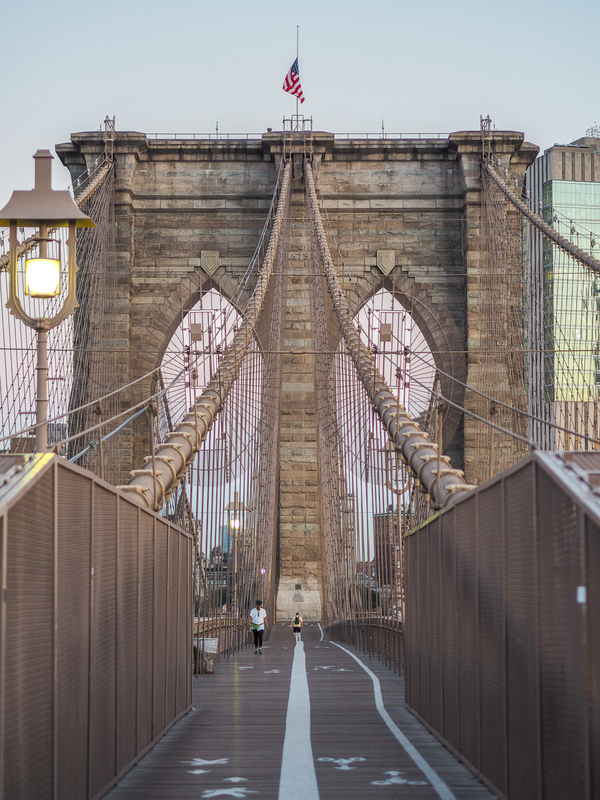 Brooklyn Bridge is definitely a must see, but if you can get there early morning it’s even better. 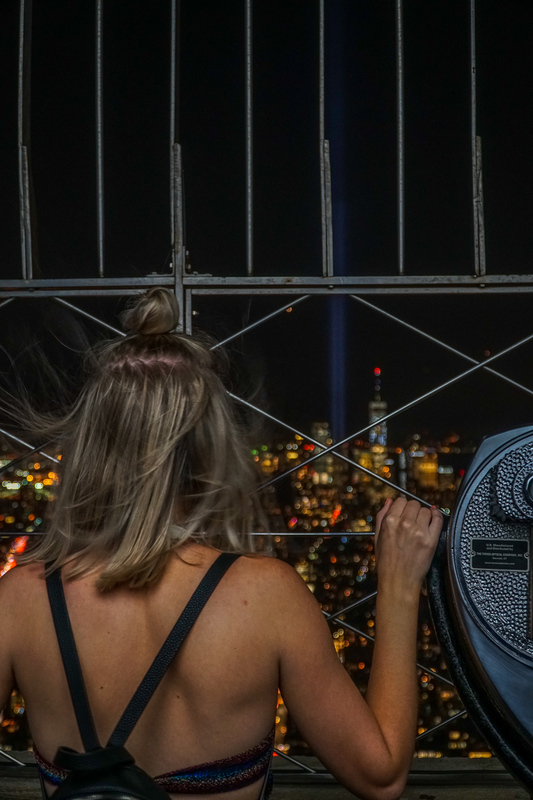 Seeing as we were already downtown, from here we headed over to the One World Trade Center and the 9/11 memorial, something else which was also included in our NY pass. A really moving area and insightful museum, this is another must-do in the city. Starting to feel the early wake-up, we filled ourselves up with food from Shake Shack and went back to the hotel for a good old nap. In a last minute decision the night before, we’d decided to book onto The Ride – a bus tour with a difference on this night. This was again, free with our pass and was a bit of fun entertainment and something different to do in the evening. Without the pass, this isn’t something we would have done, so it’s definitely useful having it for that reason too! After this, we ate out at Thalia’s, a spot on Hell’s Kitchen just one avenue over from our hotel. We both had pasta dishes and this was probably one of the nicest meals we had while out there. Day 5 was our last full day in the city. Our first stop for the day was The American Museum of Natural History – the one featured in Night of the Museum! Again, this was on our pass and a really good day out. Unfortunately, we had to rush the museum because we had so much to see, but I felt better doing this knowing we hadn’t paid for the ticket so to say. 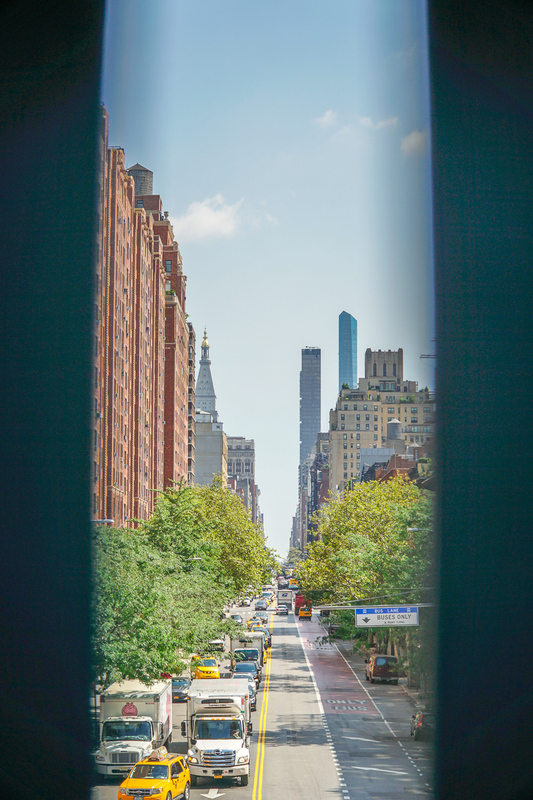 From here, we took the subway down to midtown Manhattan and found the famous High Line. This is an old unused railway track made into a pathway slightly above ground level. We walked the length of this and took some brilliant shots of Midtown. If you have time to visit here I would really recommend. Near the end of High Line is the Chelsea area, and the Chelsea Market. This was very hidden but was so full of life and activity inside. We found some lunch here and headed on another Subway down towards the very bottom of Manhattan. From here, we got the Staten Island Ferry. 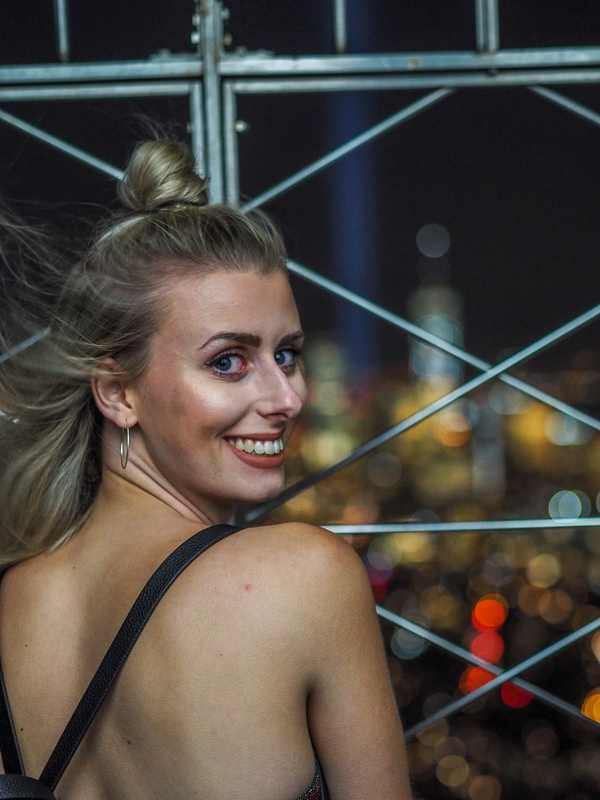 This is completely free, takes about 30 minutes each way and gives the best views of the Statue of Liberty and the Manhattan Skyline. Our last full day, it was bound to be a busy one. Our last sight from our NYC pass was the Empire State Building. We’d done Top of the Rock in the day, so decided we wanted to do the Empire State in the evening. Let me tell you the views in the evening really are as beautiful as in the day. 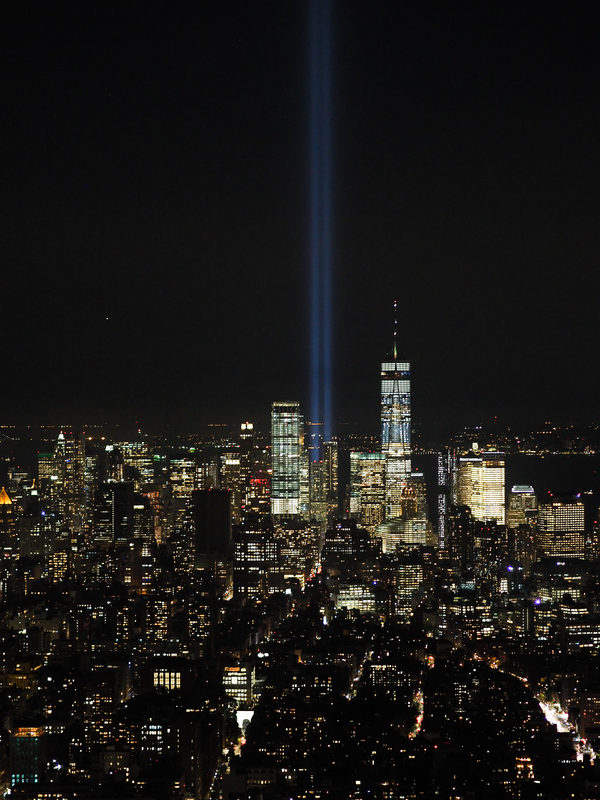 We were extremely lucky too, because in preparation for the anniversary of 9/11, the light beams (projecting 4 miles into the sky) from the 9/11 memorial were switched on for testing. It was a sight we were so lucky to see. Ending the night in the only way we knew how, we opted against a fancy restaurant meal and instead found a pizza place, and ate a few slices in Bryant Park. This really is such a romantic and beautiful spot (looking up at the Empire State building) and I wouldn’t have wanted to end our final night any other way! On our final day, we weren’t due to fly until 9pm, so still had most the day to spend in the city. 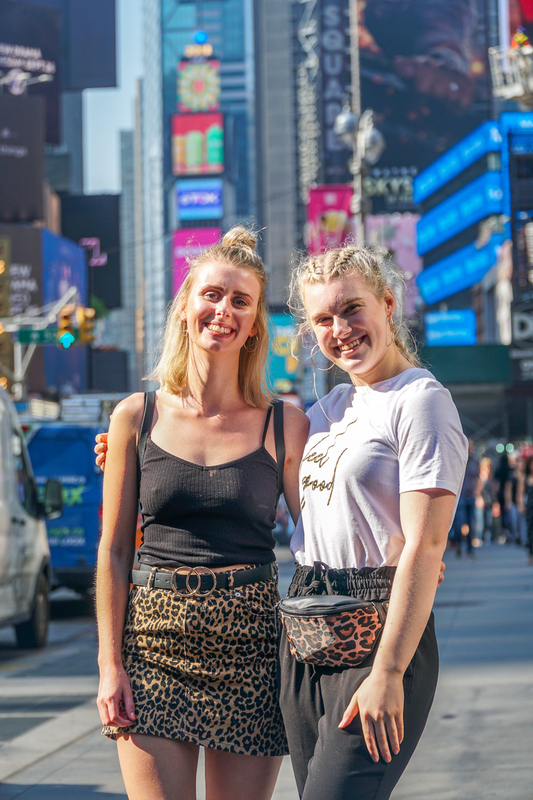 We knew my best friend and her Mum had flown into New York the night before, and were staying in the hotel opposite us, what are the chances of that?! We could literally see each other in our rooms. Anyway, we couldn’t be thousands of miles away from home and be in the same city and not meet up, so we all headed to Ellen’s Stardust Diner, a diner with a difference. I went here with my family a few years ago and knew I wanted to take Jamie and Alice. Here, every single one of the waiter’s/waitresses are trying to make it in Broadway shows, and while serving you, they’ll also sing a bunch of Broadway songs. It’s such a fun and different atmosphere, and the breakfast was also delicious! We both had pancakes, which on reflection we could have shared. They don’t lie when they say American food portions are big! Letting Alice and her mum get on with the rest of their trip, Jamie and I packed and checked out of the hotel. Before we left we had one last place on our list – DUMBO. 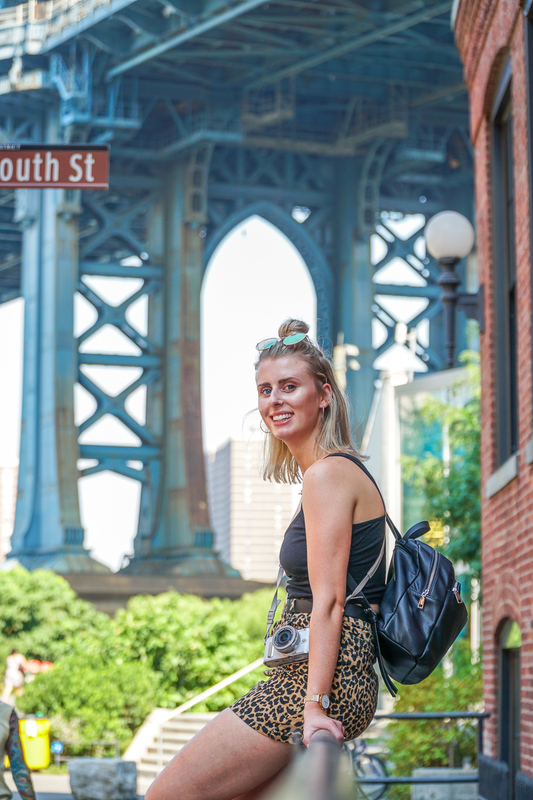 Dumbo is in Brooklyn and has the famous Manhattan Bridge sight. Here, everyone gets the perfect insta shot and Jamie and I weren’t going to miss that opportunity! We spent a short time here and went back to mid town NYC to do some final shopping before catching our flight home. Jamie bought some new trainers and between us we got enough American sweets to feed several families!! Our flight left at 9pm, so as when we arrived, we took the Subway and Airtrain back to the airport ready to head home. A delayed flight from a nasty storm and about 20 hours later, we made it back home in Ipswich, exhausted and ready to reflect on a trip of a lifetime. New York really was the most magical trip. I truly feel like we did it to its fullest, explored almost every nook and cranny and made the most of our short time there. It’s a city of wonders and was the trip of a lifetime. 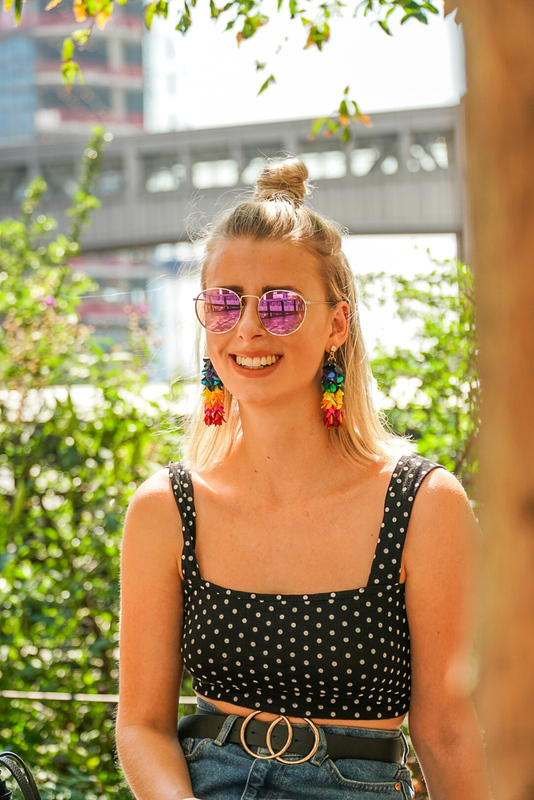 I look forward to another trip to the big city in the years to come! 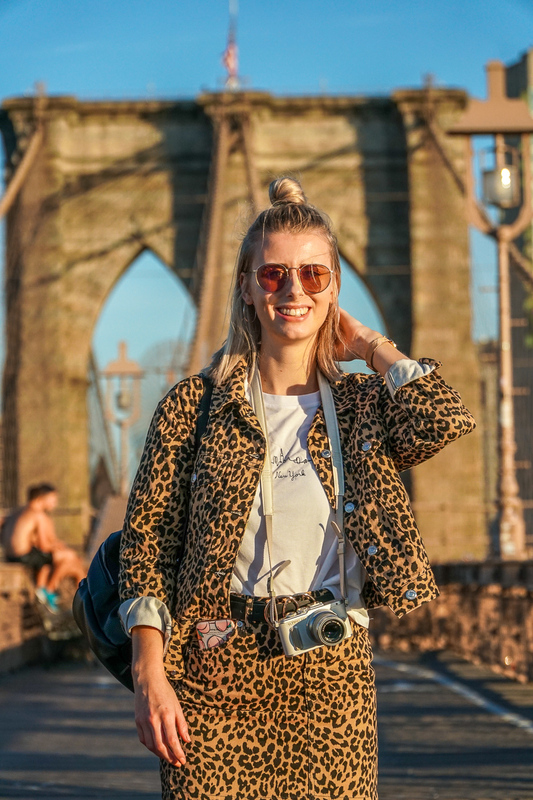 Enjoyed my New York City content? Keep an eye out for a few more posts to come, and let me know if there’s anything else you’d like to see!